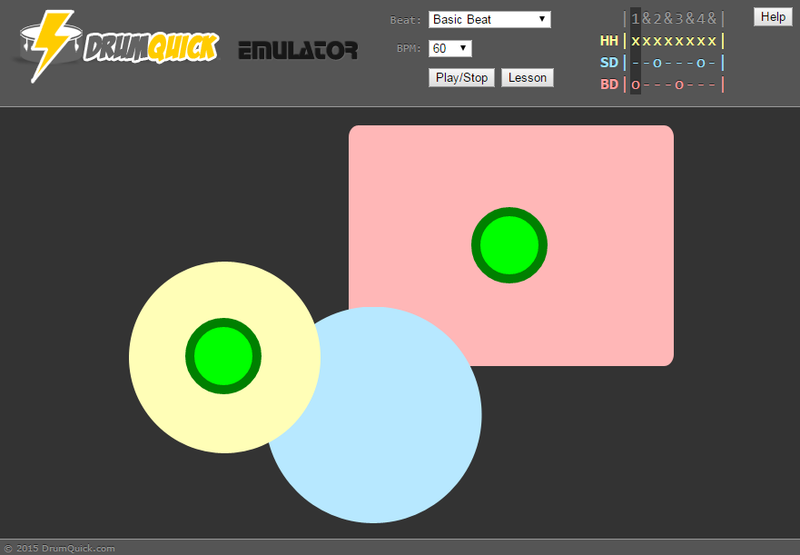 DrumQuick is a free online virtual drum set (drum emulator) with interactive lessons for beginners. 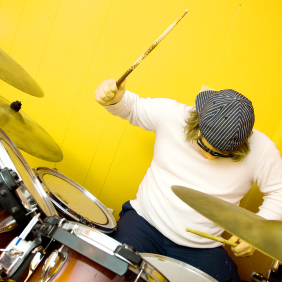 DrumQuick uses a simple and very effective method used by many drum instructors at their students' first lesson. In fact, it was my first lesson. My only lesson. It took the instructor about a minute to show me, and about 10 minutes for me to start getting the hang of it. And off I went. From that single lesson, that single beat, I grew. My muscle memory started to adapt to it to the point where that original beat was thoughtless. I started changing, expanding, and augmenting that simple beat. It was the very foundation of my drumming. In turn, I've been able to personally teach over 50 people how to start playing the drums using that same method. Not surprisingly, in every single case, it worked. Yeah, it's a little tricky at first. But like I said, once that muscle memory kicks in, magic happens. It's important to read The Guide before starting.